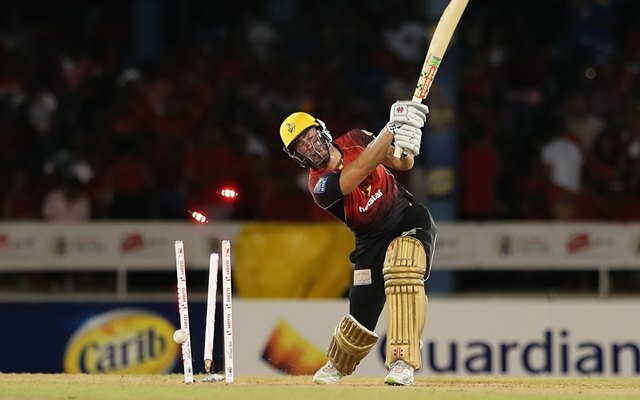 After five weeks of riveting cricket, the 2018 Caribbean Premier League (CPL) eventually came to a close. Trinbago Knight Riders, led by Dwayne Bravo defeated Guyana Amazon Warriors by eight wickets to win the championship for the third time. Moreover, they became the first team to win the event on consecutive occasions. On the contrary, Guyana lost their fourth final in the CPL’s history. Throughout the event, there were players who enthralled the audience with their expertise in their respective departments. But a number of them couldn’t quite deliver the goods for the teams. They have tasted a significant amount of success in their career, but couldn’t get the measure of the opponents. In our article, we take you through the flop eleven of the tournament. Evin Lewis and Chris Lynn are deemed to be two of the most explosive batsmen going around especially in the shortest formats, but both flattered to deceive at the top of the order. The Windies left-hander had an awful season for St Kitts and Nevis Patriots with 126 runs from 11 matches at an average of 11.45. His only knock of substance came against Trinbago Knight Riders when he scored 52 runs. On the other end, Lynn played for the Knight Riders and could only notch 121 runs in nine matches at an average of 13.44. He scored 46 against Jamaica Tallawahs but strained to breach even the single-digits in most of the matches. The Queenslander returned Australia for the JLT Cup and was subsequently replaced by South African batsman Colin Ingram for the last four matches. Martin Guptill, on his day, can torment the opposition bowling attack, however, he couldn’t quite deliver with 116 runs from seven matches for the Barbados Tridents at a dismal average of 16.57. He scored 73 runs against the Tallawahs, but apart from that, he averaged 7.16 in the remaining six encounters. Hashim Amla, another of the Tridents’ batsman, couldn’t perform to expectations. The South African batter could only manage 72 runs from six matches at an average of 12. Both Guptill and Amla were in and out of the team owing to their lacklustre form. Devon Thomas of the Patriots had an impressive season, but compared to the fellow keepers, he was a tad below par. The Antigua-born cricketer managed 222 runs at an average of 31.71 and a top score of 58 against the Knights. Darren Sammy played for St Lucia and had a forgettable season having scored only 39 runs from eight matches at an average of 7.80. Earlier he was also stripped from captaincy after which the baton was passed to Kieron Pollard. He also didn’t bowl in the event. Jason Holder, the skipper of the Tridents, had an indifferent campaign, both as a captain and as a bowler. His team finished as the cellar dweller and he could only contribute with five wickets from 10 matches at an economy of nine. Albeit he got 166 runs with the willow, the 26-year-old would want to forget the season. Sunil Narine also didn’t have the best of outings for TKR as the 30-year-old scored only 66 runs and picked up only eight wickets from the 12 matches. Devendra Bishoo didn’t have the best of seasons either for Guyana Amazon Warriors. He played only three matches in which he conceded runs at an economy rate of 11.90. In the match against the Stars at Gros Islet, the leg-break bowler was taken apart by Pollard after which he only got only one opportunity. Knights’ bowler Shannon Gabriel couldn’t perform consistently. He played in the initial part of the tournament in which he leaked runs at an expensive economy rate of 11.33. He eventually could take part in four matches. Ashley Nurse, the Tridents’ tweaker started the event handsomely but fell away in the latter part of the event. The off-spinner picked four wickets in eight matches and gave away runs at an abysmal economy of 8.52.